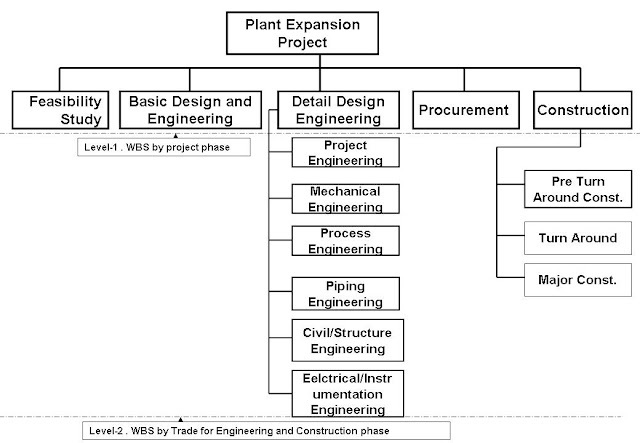 Below figure is shown up to WBS (level-2) for an EPC project including shutdown scope for a petrochemical revamping project . The detail design engineering is broken down into disciplines engineering. Construction is broken down into pre-turn around and major construction. 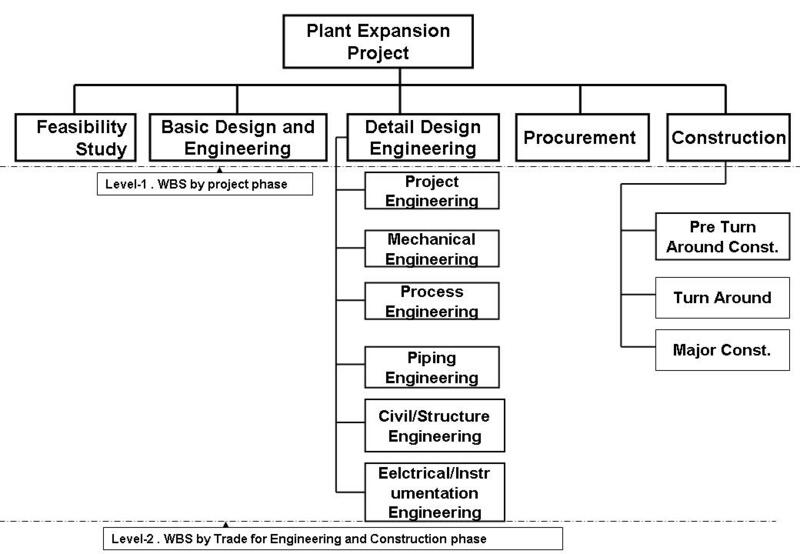 Construction would be decomposed into level 2, 3 WBS as follows if the project scope doesn't include revamp work. Any samples of Refinery Revamp Shutdown Planning. Hi, nice read! Very informative and concise. Do you have the sources used for this report?